Luxury swimming coaching company, Sports Generation, is bringing intensive swimming courses for children to private swimming pools in Kingston,�Richmond�and�Cobham�this February half term. Sports Generation, cofounded by Christian Kenny and Christopher Whitworth, will provide intensive swimming courses in private swimming pools from 9am – midday, Monday 12th – Friday 16th February 2018. The intensive swimming courses from Sports Generation are an ideal opportunity for children to greatly develop their confidence and accelerate their progression over a very short period of time. Through demonstration and repetition of specific motor skills, children can master new techniques quickly. The intensive swimming courses will offer lessons for children from the age of 2.5 years to 15 years old. Each class will last for 30 minutes in total and will run every day Monday to Friday during February half term (12th – 16th February). The classes are run by fully qualified and highly experienced coaches, delivering fun, safe, productive sessions developing skilled, strong swimmers. “Daily sessions can help nervous swimmers to gradually overcome their fears and become relaxed and familiar with their surroundings and the water. 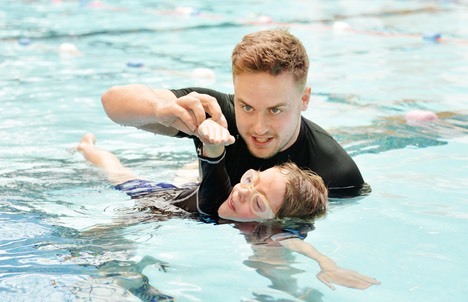 For parents, apart from providing a welcome respite during the school holidays, our intensive swimming courses gives new clients the opportunity to trial our lessons before potentially committing to a full term,” says Christian Kenny.